This trip offers the longest sail as we travel across the South China Sea. It also offers you a chance to see two national parks in Miri Malaysia. 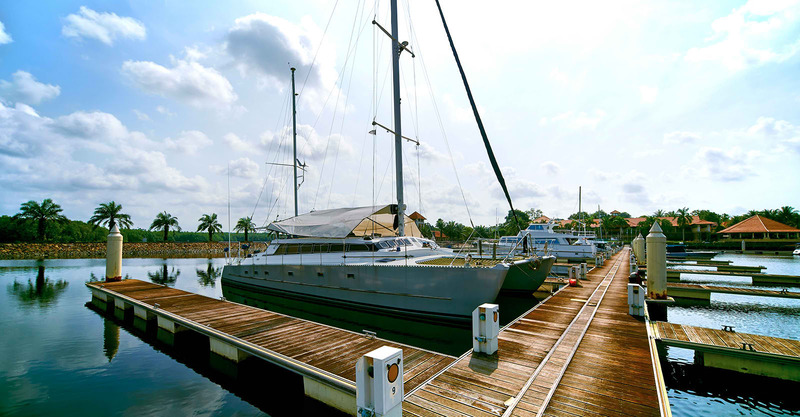 Day 1: October 16, 2018 Meet the vessel at the Miri Marina after 2 pm and join us for a tour of the Miri Petroleum Museum. We will also check on the status of the Miri Maritime Museum and see artifacts that your captain helped recover from the South China Sea. Day 2: October 17, 2018 Optional shore trip to Niah National Park. Very large caves which were once inhabited by ancient man. Day 3: October 18, 2018 We will do immigration checkout this day. If you are not required to be present for the checkout, then you are free to go to Lambir Hills National Park. We may leave this night or the following morning. Day 4: October 19, 2018 Day and night at sea. Day 5: October 20, 2018 Day at sea and if possible night at anchor at a remote island midway in the South China Sea. Day 6: October 21, 2018 Day and night at sea. Day 7: October 22, 2018 Projected arrival at Sebana Cove in late afternoon. This will be too late to to immigration check in. Please do not schedule any departure flight from Singapore this date. 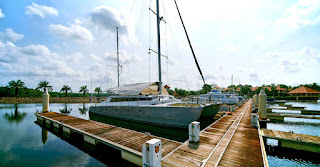 Sebana Cove Yacht Club Sebana Cove Yacht Club in Johor Darul Takzim Malaysia. It is just across the river from Singapore and a short ferry and taxi ride away. Day 8: October 23, 2018 Immigration check in. Please do schedule any departure flights from Singapore until after 9 pm to allow time for immigration process to be completed and time to get to the airport. It is far better to spend the night on the vessel and depart October 24 or 25, 2018. Day 9: October 24, 2018 An optional day trip to Singapore, depart from the vessel, or hang out at the yacht club. 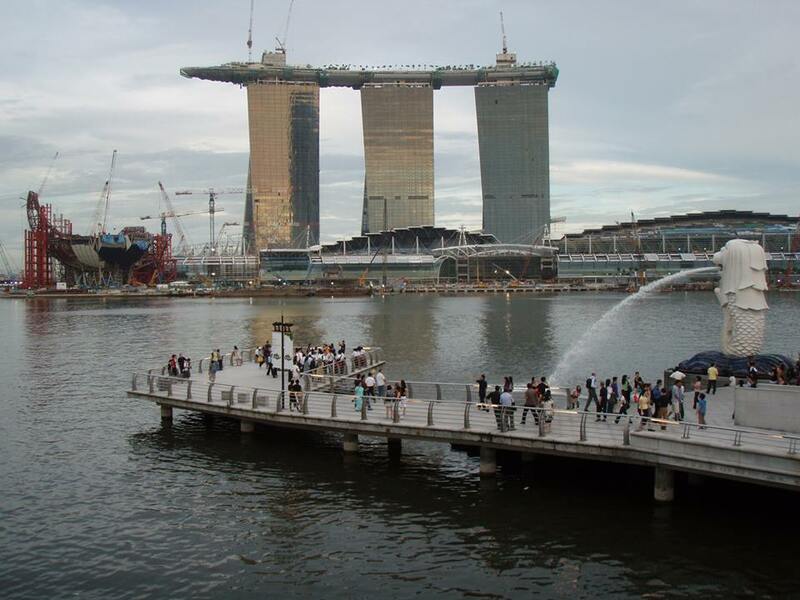 Famous Singapore site captured by Captain Philip while still under construction. Day 10: October 25, 2018 Disembark vessel by 12 noon unless you are traveling with us on the next segment of the trip. Notes: Before you are allowed to board a plane to Miri Malaysia, you may have to prove you have a ticket out of Malaysia. A ticket leaving from Singapore or Kuala Lumpur may be accepted however, there is no guarantee. It may be better to buy a "throw-away" ticket from Miri to Singapore on Air Asia. This will avoid the possibility of having to buy a last minute ticket at the airport.